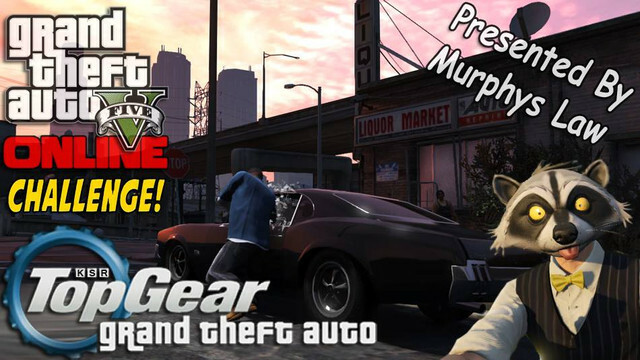 Time for another one of our world famous at KSR Top Gear GTA nights. For those who haven't played GTA in a while its Time to dust off the old gem of a game and have a lot of laughs. This night will involve stealing multiple types of vehicle each of which will have multiple challenges. Time to do a challenge in the spirit of Grand Theft Auto. We will meet at the top of the Maze Bank building for the first of several challenges through the night. This will involve stealing multiple vehicles through out the night. Unless there is absolutely no other option, you are not to repair, or re spawn your vehicle. So be smart, and look after your vehicle because you'll be stuck with whatever damage you have. The points will change depending on the Challenge. At 8:30pm I'll have an Invite Only session running. Add me on the Rockstar Social club (murphyslawnz) and let me know so I can invite you to the session. Or have someone you're friends with flick you an invite to the session. Looking at a 8.45ish start for the first challenge. # - Meet at the top the Maze Bank Building. 1 - Steal a car and race to LSIA with in 5 mins. 2 - Drag Race down the runway at LSIA. 3 - Gymkhana inside the Hanger. 3.B - Depending if its night in game there will be surprise challenge. # - Steal a truck with in 5 mins. 4 - Autocross near the Stadium. 5 - Race to Sand Shores airfield. # - Depending on time there might be another race.